Docrafts Papermania Stamp and Die Storage Pocket with Magnetic Shim is perfect for storing and protecting stamps and dies. Pack of 10 magnetic die and sheet style stamp storage wallets which fit on the D-rings in the Papermania Liquorice dot style Storage pouch which is available separately. Clear plastic wallets. It stores both sheet stamps and Xcut and other brands of cutting die. 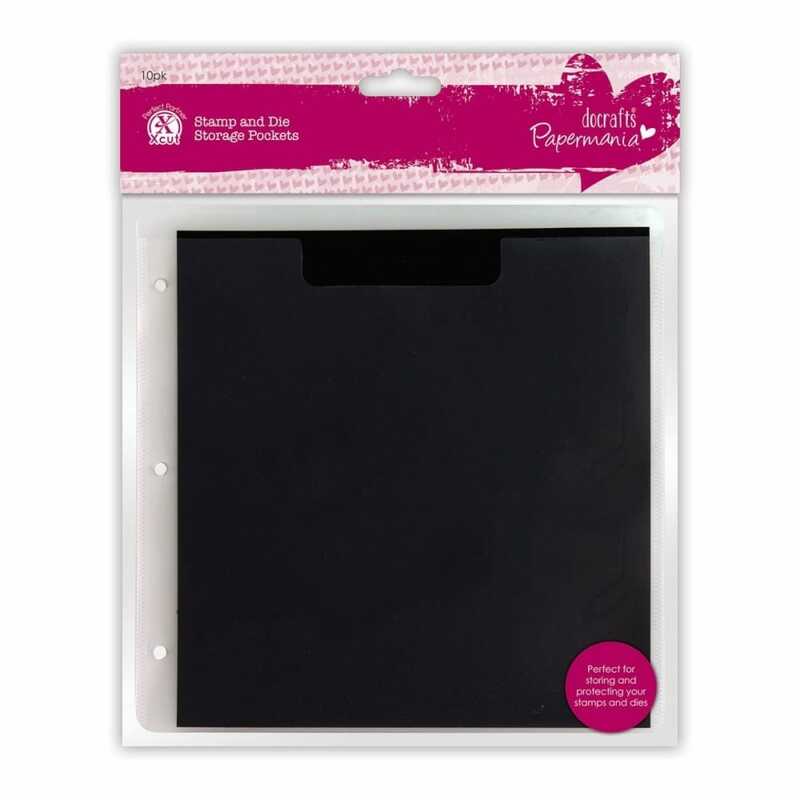 Plastic sleeves approximately 20cm x 20xm and shims approximately 18cm x 18cm. Well these are great for storing your metal dies in ,well worth the money.